Ready to journey to a place of peace and inner stillness? Looking for a great guided meditation mp3 to take you there? 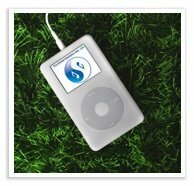 Please check out our range of guided meditation mp3's here. You can also listen to some excellent music for meditation here. We’re passionate about guided meditations, passionate about originality, and passionate about sound quality. Imagine a guided meditation that contains original music that has been composed in such a way that it subtly emphasizes the key moments that take place during your guided meditation journey. Now imagine that this guided meditation mp3 contains nature sounds, and that these nature sounds have been perfectly synchronized with the guided imagery. For example, if you are guided to walk away from a beach, then the sound of the waves fades into the distance, while new environmental sounds are gradually introduced. You are starting to imagine what it’s like to listen to one of our unique guided meditation journeys. We like to call them "a total immersion experience" in which music and sounds captivate your awareness, tantalise your senses and draw you deeper into the guided imagery of the meditation. We make this extra effort to ensure that your guided meditation is as relaxing, as engaging and as rewarding as it can possibly be. By now you can probably tell just how passionate we are about creating guided meditations of the highest quality....guided meditations that stand apart from the crowd. We’re also passionate about sound quality. After all, a great deal of time and effort goes into creating a high quality guided meditation and we want to make sure that you experience this in the most vivid way possible. The Guided Meditation site also specializes in music that is specifically designed for enhancing and deepening meditation...music that has been composed with the principles of psychoacoustics in mind. I encourage you to explore our range of meditation music.